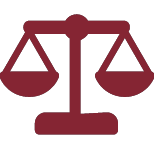 We represent individuals in criminal matters at both the trial and appellate levels in federal, state and municipal courts. We handle a wide range of cases, from traffic matters through homicides. We also represent juveniles facing any kind of charge.